No. We already decided not to create a page for SMM, because the only Zelda-related things it has are mere costumes. It does not warrant its own page. Yes it is a bit odd in a way to include Tingle here when he does not have an amiibo, but he's there for completion sake. As far as I am concerned, the 30th Anniversary series is a separate series from The Legend of Zelda series. The packaging has no bearing on what series the amiibo are in. Only the Logo used has any bearing on that. The Japanese amiibo website also grouped the the series altogether. So we can still say that the The Legend of Zelda, 30th Anniversary, and Breath of the Wild are in the same collection. This is weird that we consider Wolf Link as part of The Legend of Zelda series along with the upcoming Zelda amiibo, but not the 30th Anniversary amiibo. There's nothing weird about the way Wolf Link is being handled. Wolf Link clearly uses the same label as the other three. The 30th Anniversary amiibo do not. 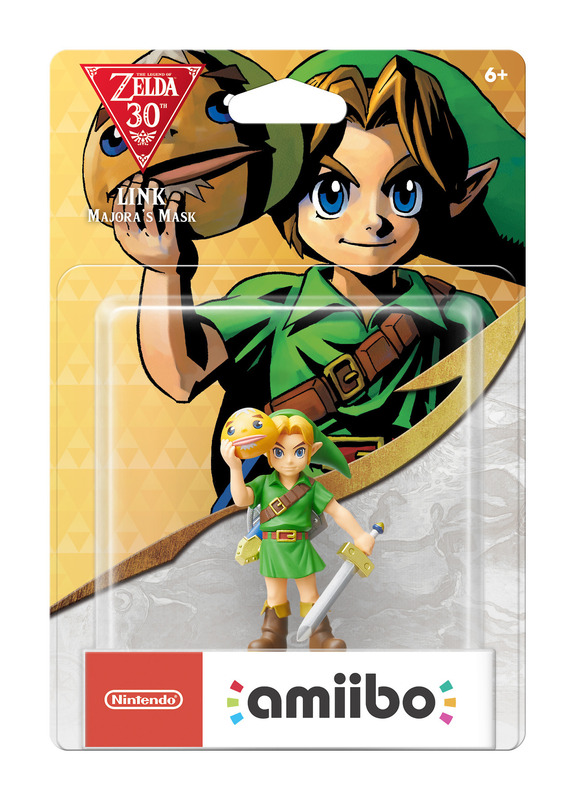 What is weird is that Wolf Link was not part of the 30th Anniversary series, despite his release date. That twitter image is meaningless without context of the tweet that image was used in. Well as of today, restocks of the 30th Anniversary amiibo have recently released in Japan. Notice that the reprint the packaging has big changes. The 30th Anniversary logo has been replaced with the general The Legend of Zelda series logo, and featured a red Nintendo logo.